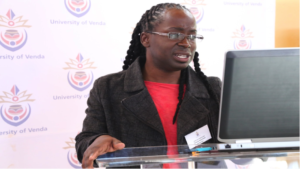 On the 11 August 2016 the University of Venda (UNIVEN), in collaboration with the University of the WItwatesrand (Wits) and the University of South Africa ( UNISA), successfully hosted its 1st Annual LGBTI+Q symposium under the theme “DESTABILIZING HETERONORMATIVITY IN INSTITUTIONS OF HIGHER LEARNING”. The symposium, whose objective was to reflect on university policies and practices and to share strategies for navigating heteronormative University spaces, brought together staff members and students. 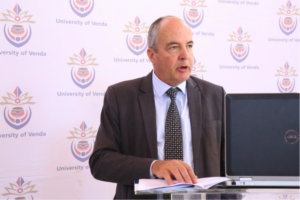 The symposium was opened by the Deputy Vice Chancellor academic, Professor Crafford; a sign that the university managemnet lives by its promise to make UNIVEN a discrimination-free university. 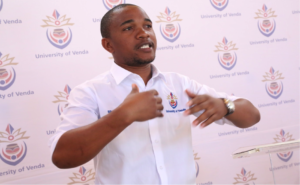 In his opening, the DVC said, “…when it comes to sexual orientation and differently gendered individuals we find oppression and othering …We must be very clear colleagues that we as a people are only as free as any lesbian, gay, bisexual, transgender, intersex or queer person amongst is allowed to be free”. The symposium kicked off with a video presentation by Prof Mzikazi Nduna on Walter Sisulu University’s lesbian students’ experiences of violence at the Mthatha campus. Prof Mzikazi Nduna from Wits University, Psychology department is the leader of the regional project. 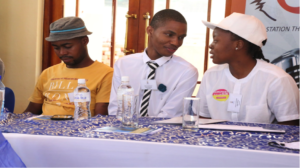 The project is aimed at increasing regional scholarship on sexual orientation and gender identity in Southern Africa. The documentary highlights violence used to punish young female students for being lesbian at Walter Sisulu University. This was followed by presentations from UNIVEN, Wits University and UNISA. Ziggy Nkosi (Wits) presented on “Invisible Students”. He asserts that “Globally, transgender people are invisible and are at times complacent to this invisibility to protect themselves. But this does not address the social injustices they experience”. Just like Ziggy, some young people transition during their time at university; and young transgender students experience lectures and peers who are ignorant and sometimes outright prejudice towards trans* students. 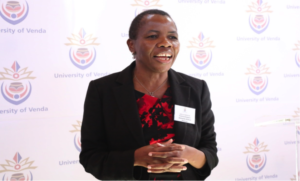 Prof Azwihangwisi Helen Mavhandu-Mudzusi’s (from UNISA) highlighted that “LGBTI +Q identifying students experience violation of the Human Rights of LGBTI, particularly in terms of those which relate to safety, association, education, expression, privacy, and visibility”. She reported that “these rights are repeatedly and frequently violated by heterosexual students and university employees, including academic staff. These have negative impact on academic, social, mental and Physical health of LGBTI + Q students”. UNIVEN has not been spared this. Published research by Prof Mavhandu-Mudzusi reports on these experiences. 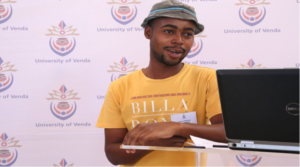 Malethabo Sedibe, a UNIVEN fourth year student in Environmental sciences and an LGBTI activist, presented on “Gender Neutral Spaces in higher education institutions”. She believes that “Planning for gender inclusive spaces will help to build a unified society which interacts together without boundaries. 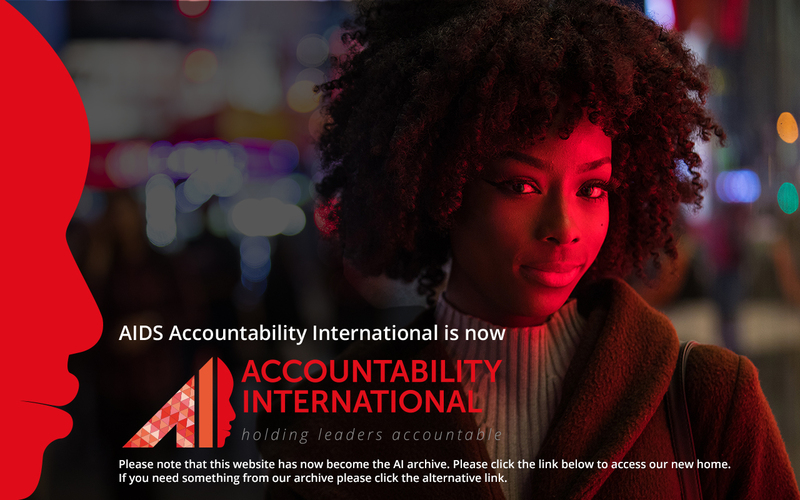 Higher education institutions should prepare global citizens who will live in an interconnected world” This is possible, as demonstrated by other South African universities. 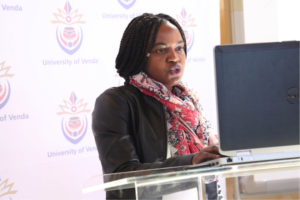 Dr Peace Kiguwa in her presentation on media response to Wits policy on ‘gender neutral bathrooms spoke about "the Recent focus on re-engaging safe zones on campus for different minority groups such as gender non-conforming and trans community." 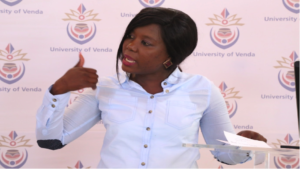 Ms Faith Musvipwa, a UNIVEN sociology MA student and Dr. Rendani Tshifhumulo presented on “Voicing the challenges of LGBTI within the Vhembe district, Limpopo province, South Africa”. She reported that “Traditional beliefs combined with homophobic stereotypes have resulted in traumatic experiences for lesbian and gay youth in South Africa. Young lesbians have been raped by older males ‘teaching’ them to be real women or ‘curing’ them of lesbianism. Young gay men are beaten by other males in order to make them ‘real men’. 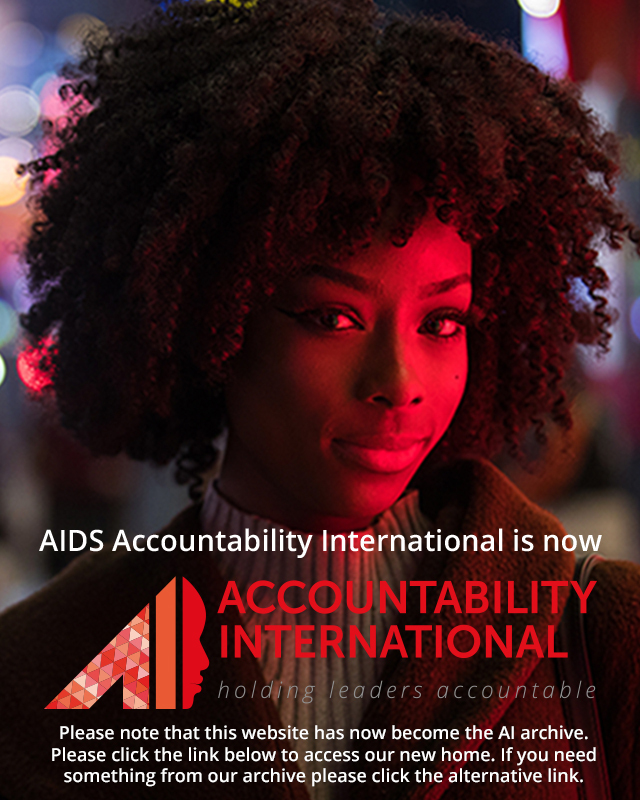 Further, ignorance, stereotypes, and lack of medical resources in impoverished communities compound the problems of HIV education and AIDS. 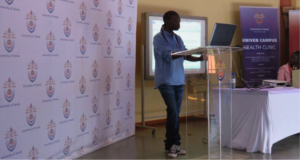 Robert Mohale a UNIVEN MA in Gender studies student presented on an exploration of the challenges faced by young people who are in homosexual relationships at Mkhuhlu location, Mpumalanga Province, in South Africa. He decries that “homosexuals are more likely to experience intolerance, discrimination and the threat of violence due to their sexual orientation in all societal institutions, including Schools, universities, churches, police station”. 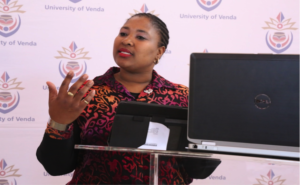 Cindy Maotoana, a founder and director of Limpopo PROUDLY OUT emphasized that “We do not hope for change…we implement change…we are change!” Her presentation was a highlight, demonstrating the valuable collaboration of universities and civil society in rights realization. Cindy reminded the audience that this campus has come a long way with acknowledgement of LGBTI rights. In an emotional speech, she reminded the audience that a gathering such as this, free of censorship could not have happened in this campus ten years ago. Now with this project, UNIVEN was able to host this symposium with blessings from the University management. 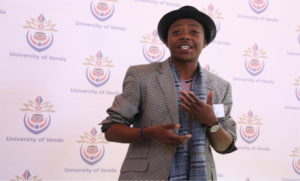 The saying ‘nothing for us without us’ was lived at UNIVEN in this momentous day as the symposium was closed with LGBTI+Q Student activists’ panel; presenters and audience discussions were facilitated by the student representation council (SRC) Minister of Gender, Blessing Mavhuru. SRC Minister of Gender, Blessing Mavhuru addresses the audience. The main issues raised by the symposium were the invisibility of the LGBTI+Qs, non-conducive environment, LGBTI+Q unfriendly support services, policy exclusion of and lack of institutional support for LGBTI+Q staff and students. The message for the day was that human rights are homosexual rights too. 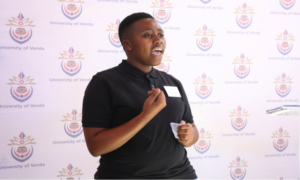 In this light, infrastructural challenges such as bathrooms and student residences were felt to be non-conducive for the LGBTIQ+ student community and one of the challenges that UNIVEN has when it comes to the safeguarding of LGBTIQ+ student’s rights. The students on this campus, like many others expressed mistrust and living in ‘FEAR’. They also mentioned experiences of discrimination, stigma and rejection within HEIs, communities and employment, which are common experiences for LGBTIQ+ individuals. Hate or homophobic crimes against the LGBTI+Q community was given as real life example of their lived vulnerability in society, while closer to home, they narrated stories of intimidation, harrassment, exploitation, inappropriate jokes and banter, insult and ridicule from lecturers, admin staff, campus health. What was also believed be both impediments and important aspects of their social lives, culture and religion, was analysed as a significant characteristic of their context and an error for intervention. 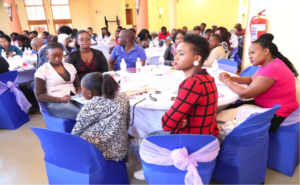 There is also a necessity for the training of staff and student affairs administrators on gender and LGBTI+Q to create strong advocacy units for LGBTI students who are likely to experience obstacles in pursuit of their education. Orientation on LGBTI could be conducted at the beginning of every academic year and benchmarking of best practices from other institutions should be done and followed. Authors: Dr Lucille Nonzwakazi Maqubela, Senior lecturer Institute for Gender studies, Dr Pfarelo Matshidze, Senior Lecturer, African Studies, Prof Vhonani Netshandama, Director of community Engagement, University of Venda.